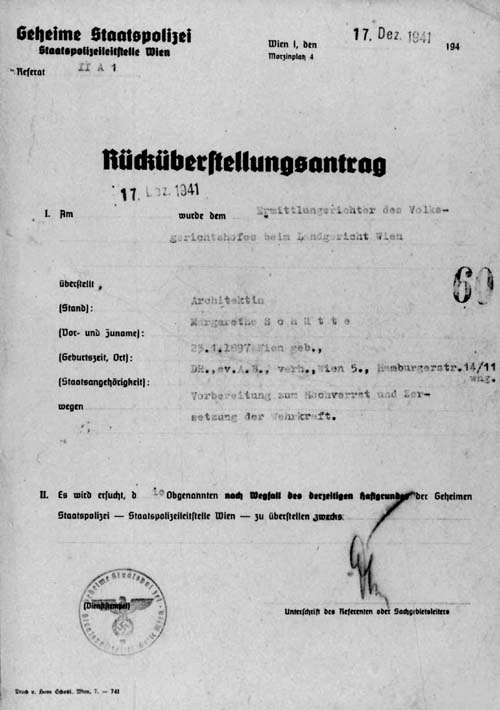 Legally and administratively, the Gestapo was equipped with a number of special rights. It decided whether to ignore or register complaints, whether to issue only a caution or to carry out an interrogation or arrest. Summonses, house searches, and torture - euphemistically called "enhanced interrogations" - were among the daily Gestapo practices. 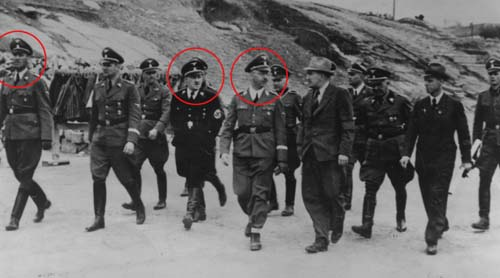 The Gestapo not only investigated individuals accused of "endeavors hostile to people and state," but persecuted them as well. Gestapo headquarters were authorized to request temporally unlimited "protective custody," that is, referral to a concentration camp. It only had to be approved by the Reich Main Security Office resp. by the Gestapo chief. In the concentration camps, the Gestapo was present in the dreaded "Politische Abteilungen" (Political Departments). The Gestapo could repeatedly detain individuals who had already served their sentence and order their transfer to a concentration camp. 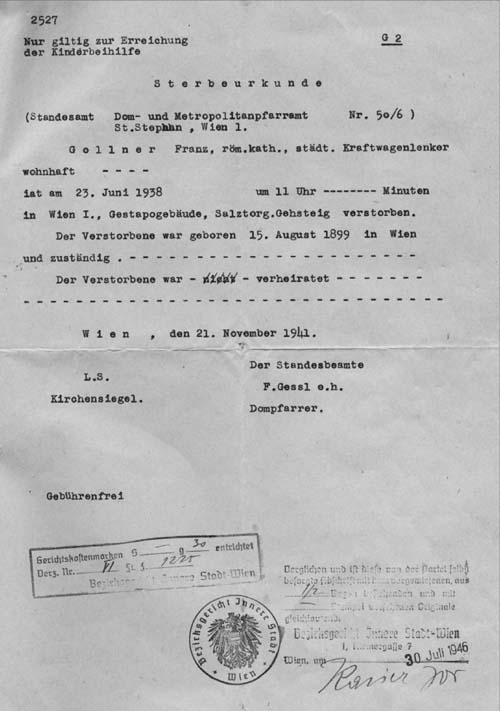 Death certificate of Franz Gollner, who was suspected of illegal activity for the Communist Party of Austria (KPÖ) and arrested; on June 23, 1938, he died on the Salztorgasse sidewalk. by the Gestapo Headquarters Vienna of December 10 and 12, 1938, in which Rudolf R.'s suicide was registered.